DAVAO CITY (Mindanao Examiner / Oct. 13, 2011) – Troops clashed with communist rebels in the southern Philippines on Thursday leaving a foot soldier and insurgent dead, officials said. Officials said the fighting broke out in the village of Datal Bukay in Sarangani’s Glan town after patrolling soldiers ran into a huge group of New People’s Army rebels extorting money from civilians. 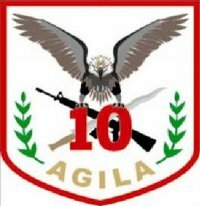 “Concerned residents gave information to government troops on the presence of NPA rebels in the area who are harassing and extorting money from the community,” Lieutenant Colonel Lyndon Paniza, a spokesman for the 10th Infantry Division, told the Mindanao Examiner. He said troops clashed with some 45 rebels until the gunmen retreated. He said soldiers recovered two automatic rifles, a claymore mine, a hand grenade, a radio transceiver, a radio scanner and a solar charger, including anti-government propaganda.